Our last night in Ho Chi Minh city, we went for full body massage with Uncle Lim and his wife. 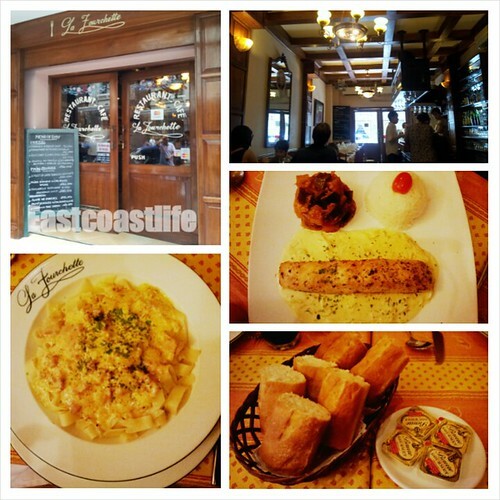 It was only when I returned to Singapore, and googled for the French restaurant's address that I realised La Fourchette, the two decades' old French bistro is one of Vietnam's best French restaurants. We had some excellent complimentary baguettes and a fabulous French onion soup while waiting for the main courses. My husband ordered a Fettucini with fresh cream, bacon and egg. (Yes, pasta in a French restaurant.) I had a salad. The Lims had fresh salmon fillet fried with leeks fondue and seabass fillet fried in olive oil with sage sauce. Although prices are high by Vietnamese standards, but the ambiance of the restaurant makes it worth paying extra. We had a lovely meal in French surroundings for a fraction of the price we would pay in Singapore. My husband and I have always looked back on that meal with pleasant memories of our wonderful friends and food. Oh.... not forgetting our wonderful drivers who had to wait in the heat for hours while we were sightseeing. Good to see rest stops with lots of hammocks for them to rest. It was a hot day and the distance to the places of interests was far. The tourists could sleep during the journey but the drivers have to be alert when driving. Oh yes, i heard you can find some really good Baguettes in Vietnam! A pity I didn't get to eat the baguette in Vietnam because our trip was so tightly scheduled, no chance to try street food. I am sooo hungry now!! 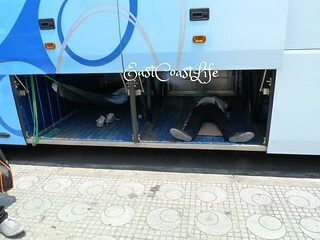 lol They are having their much needed rest, glad they found a place for it :) Happy weekend ECL!! Yes, haha..... I didn't think of that! Sleeping in the luggage compartment? Eeek! No choice for the drivers, there were no other place for them to take a nap because we were in a tourist area. It was good. 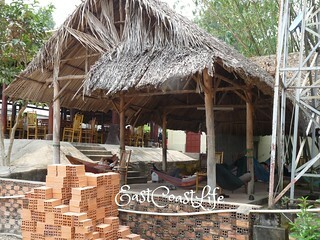 The restaurant has been operating for more than 20 years. Lovely takes on the combo theme!